Snapdragons are charming tall plants, and flower in a range of bright colors. 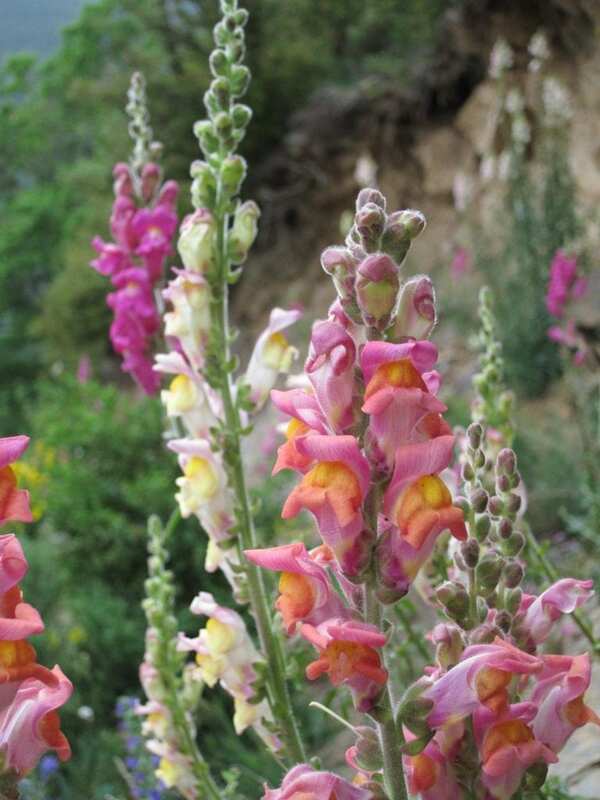 In Spain, where snapdragons grow wild, these flower colors show a remarkable pattern: When driving up a road from Barcelona to the Pyrenees, snapdragons of the species Antirrhinum majus bloom in magenta at the beginning of the road, before a population of yellow flowering snapdragons takes over – separated by just a two kilometer long stretch in which flower colors mix. Such hybrid zones of snapdragons are quite infrequent; only a few others are known. But why don't the snapdragons mix, with yellow and magenta flowers growing together over a wide area? Nick Barton at the Institute of Science and Technology Austria (IST Austria), together with David Field, previously postdoc in Barton's group and now Assistant Professor at the University of Vienna, collaborated with molecular geneticists at the John Innes Center in Norwich to investigate the causes of this pattern. Writing in today's edition of PNAS, the scientists report that they identified the genes responsible for flower color difference from DNA sequence data. "DNA sequencing is becoming cheaper and cheaper. But analyzing sequence data and interpreting the patterns seen is very hard", Nick Barton explains, "In this study, we used sequence data from Antirrhinum plants to locate the individual genes which are responsible for the difference in flower color across the hybrid zone." The researchers compared the genome sequence of 50 snapdragons of each color, and measured how much the sequences diverged between magenta and yellow snapdragon populations. By plotting a statistical measure of divergence between the two populations, they found "islands" in the genome which are more divergent between yellow and magenta snapdragons than the rest of the genome. In the snapdragons, these islands correspond to genes responsible for flower color. The recent paper focuses on two of those genes, which determine the magenta pigment, and are located close together on the genome. "Even with abundant DNA sequence data, it is often difficult to find exactly why species are different. Our study is the culmination of years of work, combining fieldwork and population genetics with genetic crosses, and analysis of gene expression", explains Nick Barton.